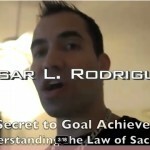 In this video and guide you’re going to learn how to set and hit your goals using a formula and framework similar to the one outlined in Napoleon Hill’s famous book, Think and Grow Rich. When I first read this book at 22 years old and learned how to write down your income goals the way Napoleon Hills suggests, it changed everything for me. I immediately took the framework he shared, modified it to my desired income goal, wrote it and posted it everywhere around my house so that I could see it and read it aloud daily. A little extreme? Perhaps. But I didn’t care. If it was proven, moral and ethical, I’d give it a try. When it comes to hitting my goals I’ve always been a “do whatever it takes” kind of guy. The Result? I not only hit my income goal, I surpassed it! 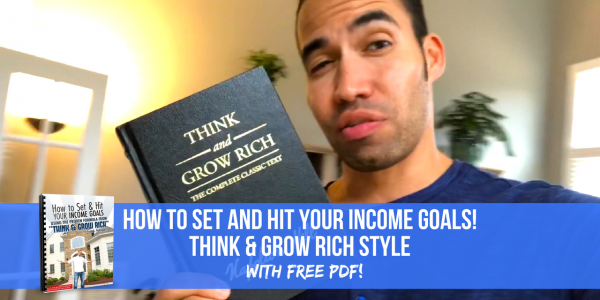 Which is exactly what I want for you and why I took the time to film this video and create a FREE downloadable guide a “fill in the blank” template so you can easily set and hit your income goals using the formula and framework you learn in this video. 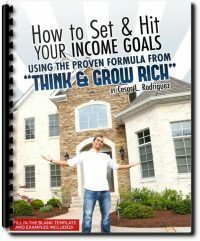 How to set and hit your income goals using the proven formula from Think and Grow Rich! 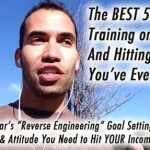 For maximum results download this guide first and then watch the video below with the guide in front of you. After the video, complete the fill in the blank templates in the guide, and within a few minutes you'll have a written goal achievement strategy and statement that will look like you spent days working on! 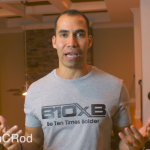 I've recently started a New Facebook Group called "The B10xB Movement". I'll be officially launching it in March, but because you're a fan you can Click here to join it now! Once you've written out your goals using the template I provide in this PDF, if you want to be bold and get some love, take a picture of your goal setting statement and post it this New Facebook Group! I hope you enjoyed today's post and download. If so you can let me know by clicking like, sharing it, and/or dropping a comment below. I love reading your comments and hearing your feedback. How to Make a Vision Board from The Secret-a Simple, Fast, Cheap, and Easy How to Guide! 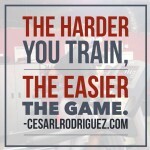 The harder you train, the easier the game!